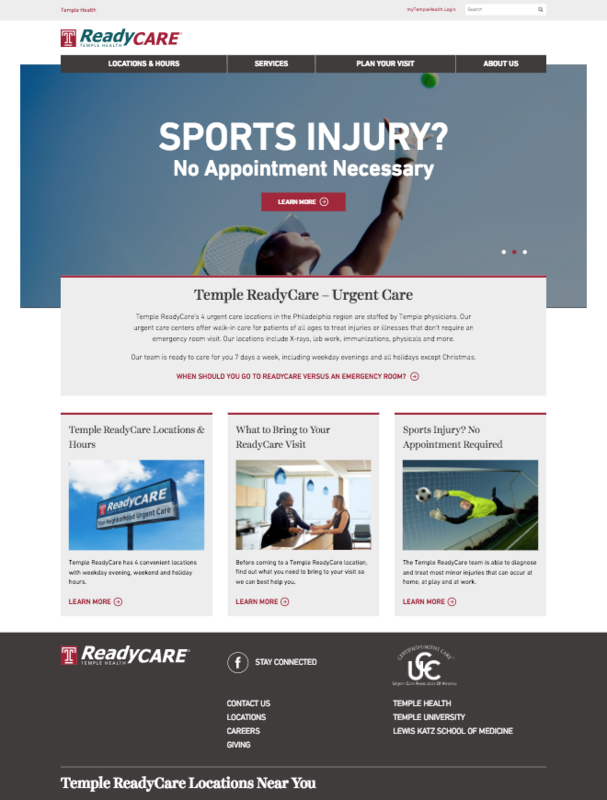 Temple ReadyCare was a custom Drupal theme built for Temple University Health System while consulting with Eastern Standard. 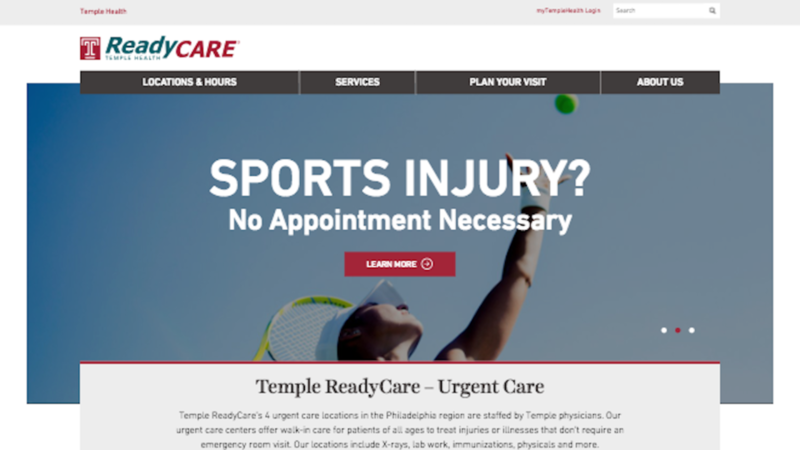 The custom child theme includes custom content types for locations, services, gallery photos and more. 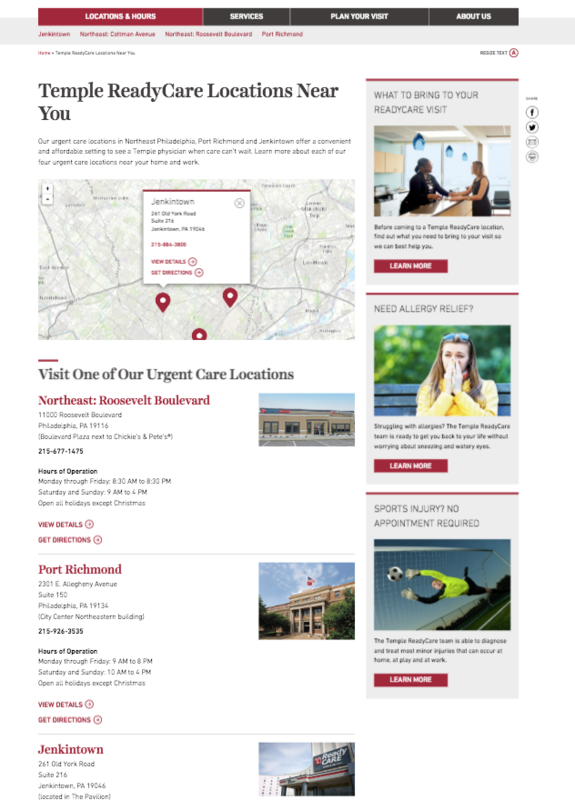 The location pages integrate with Google Maps to display the popover containing Location information.